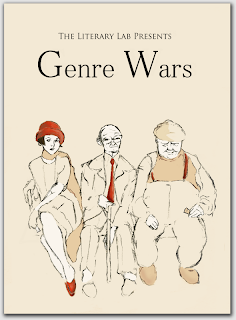 I'm thrilled to announce that my short story "In Amsterdam" will be included in the Genre Wars Anthology. The great folks over at The Literary Lab put this baby together. Look at the beautiful cover! Proceeds from the anthology go to a non-profit organization that supports writers. Please hop on over to their site and vote for an organization! 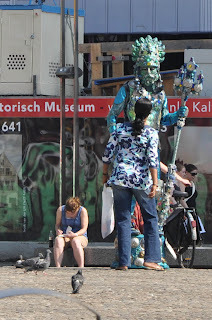 I started this story when I was in Amsterdam, and blogged about it in this post. Here's a picture of me writing those first few sentences! I fell in love with your story! One of my favorites! Thank you for your participation, and congratulations! Thanks Michelle, I'm so glad you enjoyed it! Congrats, Lisa. Way to go!